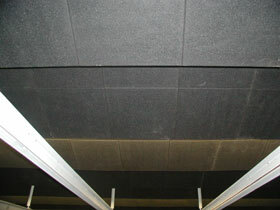 Ultimate RB Rubber Ballistic Tiles - For use in shooting ranges to reduce noise and to help with ricochets. Each ballistic tile is constructed with two different surfaces. The grid surface is installed facing outward in areas where the primary goal is noise reduction The flat surface faces is installed facing outward when ricochet reduction is the primary concern. The RB Rubber Ballistic Tiles are made from 100% recycled tire rubber. Price shown is per 2' x 2' x 1.5" tile. Texture: Smooth side and grid side on each tile. Place the grid out for acoustic needs, grid down for ballistic purposes. 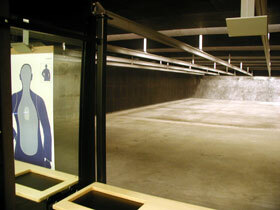 Need a quote on a bulk purchase of ballistic tiles for your indoor range? Contact an IRON COMPANY® tactical flooring specialist today at 1-888-758-7527 or email quotes@ironcompany.com. Ships via one of our various freight carriers on a wooden pallet. This delivery is considered a curbside delivery only and will be delivered to a location at your address that is acceptable for a tractor trailer at the driver's discretion. Customers are required to be present at the time of delivery to sign the delivery receipt. On most deliveries, customers will receive a 24-hour notification call and lift gate service. Lift gate service may not be available for larger bulk orders if weight of pallet exceeds liftgate capacity.